-Irish history records the story about Scota, the daughter of Pharaoh of Egypt who arrived in the southern part of Ireland between 4,000 and 3,500 years ago. She took on the trade route, sailing in search of the new world. She travelled to Spain from the Delta, by means of an Egyptian ship. She settled in the country of Kerry (south-western part of Ireland) and married Milesius and gave him eight sons. Milesius, an invader from Spain, came to Ireland to conquest the ancient tribes and to take the kingdoms from Tuatha-De-Danaans. MacCuill, Mac Ceacht and Mac Greine fought in a long bloody battle about three miles from Tralee. Not only did the Danaan princes die in the battle of Tralee but also Scota the warrior Queen of the invaders was also killed. It seems that her sons Heremon and Heber were the only surviors of Milesius ruling family and that they divided the country between them. One took the north and the other the south. Then they inevitably quarrelled and Heber was slain. Scota is buried on the sloped mountains in view of Tralee Bay at a place called Glenscoheen (Scota's Glenn). Irish archaeologists have not yet carried out any investigation on the site, which consists of woodland and natural rocks. The Ordnance Survey of Ireland has shown the actual location of the burial of Scota. Gaels were descended from a princess named Scota. Her husband was Niul, the Governor of Capacyront, by birth, a Black Sea prince of Scythia. Her name “Scota”, which was Scythian for “ruler of the people” was gained by the princess when she married Niul. Scota was the daughter of Egyptian Pharaoh Smenkhkare. Smenkhkare was known by several other names and spellings of his own name. These include Smenkhkara, Smenkhkaron, Achencheres (in Manetho’s Egyptian King List), Cencheres (the version used by the Christian church-father Eusebius), and Cinciris (from early Gaelic history). The phonetic version of one name listed above, that of Smenkhkaron, provides the name by which history knows him best, that of Aaron – described in the Bible as Moses’s brother. In actuality, Aaron was Moses’s first cousin and a feeding-brother of Moses. (Aaron’s mother Tey was the woman who nursed Moses when he was born). Aaron, or Smenkhkare, was pharaoh for a short interim period when Akhenaten was forced to abdicate when he tried to impose only one god (named Aten) on the Egyptians. Akhenaten (meaning Glorious Spirit of Aten) was originally born named Amenhotep (meaning Amen is pleased). He ruled as Amenhotep IV until he changed his name and tried to get the Egyptians to worship the one god Aten, instead of the chief god among many – named Amen. Akhenaten is best known in history by his Hebrew name used in the Bible – that of Moses. The pharaoh's daughter who was the mother of all Scots DIANE MACLEAN "From various writings of ancient chroniclers we deduce that the nation of the Scots is of ancient stock, taking its first beginning from the Greeks and those of the Egyptians." WALTER Bower wrote his compendium of Scottish history, Scotichronicon, in the 1440s. This sweeping Latin text aimed to set down the history of the Scottish people from the earliest times – and by so doing to show what race of people we were. He referenced his chronicle from ancient texts and oral history. What he recorded was astounding. According to Bower, the Scottish people were not an amalgam of Picts, Scots and other European peoples, but were in fact Egyptians, who could trace their ancestry directly back to a pharaoh's daughter and her husband, a Greek king. A replica of an Egyptian mask similar to that found with Tutankhamen. The queen's name was Scota – from where comes the name Scotland. The Greek king was Gaythelos – hence Gaelic, and their son was known as Hiber – which gives us Hibernia. Nor was Bower the first to propose such exalted lineage for the Scots. The story goes back further and was even included in The Declaration of Arbroath. This seminal document - written in 1320 by the Barons and noblemen of Scotland - was a letter imploring the Pope to intervene on their behalf during the Wars of Independence. The text refers to "the ancients" who "journeyed from Greater Scythia … and the Pillars of Hercules … to their home in the west where they still live today". According to tradition, this royal family was expelled from Egypt during a time of great uprising. They sailed west, settling initially in Spain before travelling to Ireland and then on to the west coast of Scotland. This same race of people eventually battled and triumphed over the Picts to become the Scots – the people who united this country. Few historians have taken the story to be anything more than a verbose bit of Middle Ages origin story-spinning, created by a nation who needed to prove that they were of ancient stock. "Most political entities [in medieval times] try and trace the origin of their race back into biblical times," says Steve Boardman, lecturer in Scottish history at Edinburgh University. "It was a way of asserting the natural existence of the kingdom of the Scots." But now a new book, Scota, Egyptian Queen of the Scots, by Ralph Ellis, claims to prove that this origin myth was no made-up story but the actual recording of an Egyptian exodus that did indeed conclude in Scotland. In tracing the sources that could have influenced the Declaration and Bower's Scotichronicon, he finds that the main British reference was likely to be the eighth-century historian Nennius. But it is in tracing Nennius's sources that Ellis thinks he's found the answer. He believes that that the originator of the Scota Gaythelos story was an ancient text, The History of Egypt, written in 300BC by an Egypto-Greek historian called Manetho. A detail from an Egyptian frieze showing a boat - perhaps similar to the one that could have been used by Scota and Gaythelos. From Ireland it was a short hop across the water as later Iberian "Egyptians" seeking a new homeland in Ireland were told to populate Scotland. This colony became so successful that eventually many of the original Irish "Scots" then moved across too. It all seems exceptionally compelling. Who's to say that just because it's unlikely it isn't actually possible? Well, most historians for one. Boardman says of Ellis's research that to "search for historical figures is just madness. It's never going to work". He concludes, that much as medieval Scots – and clearly present-day ones too – would like to believe in these ancient roots there isn't much chance that it is true. "Because of our training we never like to say a definitive no," says Boardman. "But as far as I could, I would say that it is all nonsense." In 1955, archaeologist Dr. Sean O’Riordan of Trinity College, Dublin, made an interesting discovery during an excavation of the Mound of Hostages at Tara, site of ancient kingship of Ireland. Bronze Age skeletal remains were found of what has been argued to be a young prince, still wearing a rare necklace of faience beads, made from a paste of minerals and plant extracts that had been fired. The skeleton was carbon dated to around 1350 BC. In 1956, J. F. Stone and L. C. Thomas reported that the faience beads were Egyptian: “In fact, when they were compared with Egyptian faience beads, they were found to be not only of identical manufacture but also of matching design. The famous boy-king Tutankhamun was entombed around the same time as the Tara skeleton and the priceless golden collar around his mummy’s neck was inlaid with matching conical, blue-green faience beads”. An almost identical necklace was found in a Bronze Age burial mound at north Molton, Devon. Myths of the dragon Princess Scota relate her to the royal Irish and Scottish lines. She is claimed by the Dragon Lineage. According to Bower’s manuscript, Scota’s descendants were the high kings of Ireland. ‘Scota' is not an Egyptian name, but Bower’s manuscript says Scota’s father is actually named Achencres, a Greek version of an Egyptian name. In the work of Manetho, an Egyptian priest, Evans discovers the translation of the name—the pharaoh Achencres was none other than Akhenaten, who reigned in the correct timeframe of 1350 BC. Evans believes that Scota was Meritaten, eldest daughter of Akhenaten and Nefertiti. The third eldest daughter, Ankhesenpaaten, married her half-brother, King Tutankhamun, son of Akhenaten and his secondary wife, Kiya. The controversial religious shift to the god Aten caused conflict with the Amun priesthood, who reasserted their authority after Akhenaten’s reign ended and he disappeared from history. This conflict and the rumored deaths by plague would have been sufficient motivation for the pharaoh’s eldest daughter to accept a foreign prince in marriage, rather than being Tut’s wife as would have been normal protocol, and to flee from the conflicted country. The skeleton was carbon dated to around 1350 BC. In 1956, J. F. Stone and L. C. Thomas reported that the faience beads were Egyptian: “In fact, when they were compared with Egyptian faience beads, they were found to be not only of identical manufacture but also of matching design. The famous boy-king Tutankhamun was entombed around the same time as the Tara skeleton and the priceless golden collar around his mummy’s neck was inlaid with matching conical, blue-green faience beads”. An almost identical necklace was found in a Bronze Age burial mound at north Molton, Devon. In Kingdom of the Ark, Lorraine Evans reveals plausible archaeological connections and evidence between Egypt and Ireland. In 1937 in North Ferriby, Yorkshire, the remains of an ancient boat were discovered. Excavation produced what was thought a Viking longship yet more boats were much older than Viking ships and were of a type found in the Mediterranean. They originated 2000 years before the Viking age and were radiocarbon dated to around 1400 to 1350 BC. Evans argues these boats could originate from Egypt, based on dating of the faience beads. While investigating the origins of the people of Scotland in the Bower manuscript, the Scotichronicon, she discovers the story of Scota, the Egyptian princess and daughter of a pharaoh who fled from Egypt with her husband Gaythelos with a large following of people who arrive in a fleet of ships. They settled in Scotland for a while amongst the natives, until they were forced to leave and landed in Ireland, where they formed the Scotti, and their kings became the high kings of Ireland. In later centuries, they returned to Scotland, defeating the Picts, and giving Scotland its name. What happens to Scota and her people? Irish myth claims the Tuatha de Danaan, the magical children of the Goddess Danu "originally established the site of Tara, in the Boyne river valley, as the ritual inauguration and burial place of the ancient kings of Ireland. They were generally regarded as the gods and goddesses of the "Celtic" tribes, but it is believed that their true origins date far back into prehistory”. Could the de Danaan even perhaps have been the descendants of the lost land of Atlantis, migrants to Ireland after its final destruction, between 7-10,000 years ago? Further compounding the mystery, Michael Tsarion offers the revisionist view that Scota was returning to the Western land of Egyptian origins. Was the Irish/Egyptian connection a two-way street? Civilization may have spread into Europe from the West as well as the East. The religion of the Druids parallels the ancient Egyptians. Their name is linked to the word 'door' or portal and 'bringer of truth." In the Annals of the Four Masters, dating to 1632-36, Scota’s husband is named Eremon, and it is Eremon and Eber who divide the land of Ireland between them, with Eremon in the north and Eber in the south. Egypt was divided into Upper and Lower Egypt, unified by a central connecting city, Memphis. If we consider the existing myths of Ireland’s legends, it, too, was divided to have a central site of unity, known as Mide, the omphalos of Ireland. Within Mide is where the Hill of Tara is situated, as a site of the High Kingship, representing the unity of the land and all of its people. Sadly, it is in the battle for Ireland at Slieve Mish, as recorded in the Lebor Gabala, that Scota meets a tragic end and is killed. After her death in this battle, the war continued on at Tailtinn against the three kings of the Tuatha de Danaan, the husbands of the Goddesses Banba, Fodla, and Eriu: MacCuill, MacCeacht, and MacGreine. The sons of Mil, after prolonged battle, conquered the de Danaans and took the seat of Tara. According to the Bower manuscript, Scota was buried “between Sliab Mis and the sea,” and her grave, Fert Scota, is found in a glen located in Glenscota. The exact location of Scota’s resting place remains a mystery, much like the particulars of her past. She lent her persona and identity to the landscape of the land she became a part of, giving Scotland her name. There is another critical reason the Kolbrin Bible ancientmanuscripts.com has such a pristine story of the Exodus of Moses. The story of Moses in England comes from a firsthand-eyewitness of the Exodus. However, to understand the source one must return to the time of Moses and locate the people who carried it to England. By the time of the birth of Jesus the world had accumulated a wealth of prophecy about the coming of the Messiah. The stories had been told and retold for thousands of years to the point where they had been colored by culture, tradition and time. Jesus came into the world like a match to an already existing powder keg and exploded onto the human scene like the cataclysms of old. Each culture, tradition and geographic division integrated the story of Jesus and the Bible to merge into their individual beliefs and ancient traditions. The explosive entry of Jesus into the world didn’t function like the amalgamation it should have been. It didn’t bring people together. It didn’t gather traditions into a common pool for reassessment and realignment. It actually separated the world farther from each other. By the time of the Nicene Council, three hundred years after the death of Jesus, there were more Christian religions than there are today. In addition the history of Jesus had merged with every single culture and religion on the earth. Jesus became the greatest of the Buddha’s in the East, the prophet of Judaism and Hinduism, and the great prophet of Mohamed. Jesus became the fare-skinned prophet of the Americas and the hometown hero for the descendants of the Druid/Magi fraternity in Western Europe. Emperor Constantine We have to thank Catholicism and the British born and educated Caesar Constantine for institutionalizing the life of Jesus in our Holy Bible, though he admittedly didn’t send out an edict to gather the story of Jesus from the four corners of the world. That was his greatest mistake. Had Constantine not institutionalized the life of Jesus the history of Jesus would be even more fragmented today. Constantine wasn’t a convert from Roman-based paganism. He was the descendant of Bishop Linus who had lived in Rome and returned to Britain to be the first bishop of the Culdean-based Christians in the first Century. (See “Drama of the Lost Disciples” http://www.ancientmanuscripts.com/books/drama.htm ) Constantine had been preconditioned to Christian conversion by the traditions of his ancestors in England. He eventually merged the two Roman Caesarships back together as one and moved the capital of the Roman Empire to Constantinople for a very important reason. Constantinople was both the gateway to the silk trade routes to the Far East and the crossroads of the story of Jesus from East and West. It made more sense to establish Christianity at the crossroads of tradition rather than to leave it in Rome where Christians had been persecuted or in his homeland in England where the British Christians dominated the story of Jesus for three hundred years after Jesus’ death. (See “Celt Druid and Culdee” http://www.ancientmanuscripts.com/books/celt.htm ) The British Culdee were the legitimate first above ground Christians after the death of Jesus. Christianity was first launched from Britain and her Christian following and not from Jerusalem or Rome. Did Moses Influence The British Isles In His Day? One of the very first biblical influences in Britain came at the time of Moses. According to an encyclopedic account of Scottish history, Pharaoh's daughter Scota in the time of Moses (1300 BC) married one of Judah's sons and traveled to Ireland in search of a place to settle. The couple was given land by the Irish king. The land became known as Scotland in honor of Scota. According to some sources, the story of Ireland's Egyptian princess dates back to 1700 B.C. when, says T.J. Barrington in Discovering Kerry, Gads - "with their iron spears" - invaded Ireland from Spain to avenge the death of a clansman who had gone over from Spain to explore Ireland and had been killed by the inhabitants. Those who organized this expedition were from the family of Miles, or Milesius, depending on the source consulted. Miles - a word meaning "soldier" in Latin - was a member of a warlike, aristocratic Gaelic family in Spain, with roots in Scythia, an area northwest of the Black Sea, now in the U.S.S.R. One source says Miles was "supposedly descended from Scythian nobles who had been expelled from Egypt and settled in Iberia [Spain]." Another, The History of Ireland to the Coming of Henry II, by Arthur Ua Clerigh notes that when Miles grew up "he went on his wanderings (from Spain) first to Scythia... and afterwards to Egypt where he married Scota (Scota ) the daughter of the Pharaoh Nectonibus." Back in Spain, Scota bore Miles six sons. But then Miles, on the eve of his invasion of Ireland to avenge his uncle's death, died and his mantle fell on the shoulders of his Egyptian princess. Like Cleopatra, another renowned Egyptian woman, Scota did not shirk her responsibilities: with her six sons, and two other of Miles' sons from another union, she set out in a fleet of 30 ships some time about 1300 B.C. Casualties, writes Barrington, were incurred almost immediately. "As they sailed westward, Erannan, the youngest of the sons, climbed the mast first to see Ireland, but fell and was drowned ...Ir, a third son, was rowing so hard that his oar snapped and he fell back into the boat and died..."
The fleet sailed on, however, and three days later landed at Kenmare Bay in County Kerry. The Gaels fought their way to Tara, their enemy's capital and, later, the place where the High Kings of Ireland were crowned. There, they demanded surrender or battle - but got neither. Somehow, the enemy got the Gaels to withdraw in their fleet and while they were offshore a tempest sank many ships and drowned most of the surviving sons. On the other hand, even modern scholars leave a bit of room for those of us with imagination… It is certainly true, moreover, that the Gaels did come to Ireland by the Late Bronze Age, and that they did bring with them the skills of iron-mongering. And some of the dates and names in the legend do accord with some of the accepted history of both Ireland and Egypt. Though Scota's father, for instance, is called the "Pharaoh Nectonibus" by Ua Clerigh in his 1910 Irish history, a name not to be found among the lists of ancient Egyptian kings, his name bears a striking resemblance to those of two much later rulers: Nectanebo I and Nectanebo II, described by Martha Ross in Rulers and Governments of the World as "among the last Egyptian Pharaohs." These rulers, moreover, "made attempts to gain Greek alliances" to stave off invaders from the East. It is not beyond the realm of possibility, therefore, to suggest that they could have also made alliances with the Scythians who, in the preceding centuries, had penetrated the Middle East as far as Palestine, and thus were on Egypt's border. Extract from the book - "The Roots and Blood of the Scots"
Around 1500 BC, in the Middle East there lived a man, one the Gaelic annals called "Fenius Farsa". He was born to be a "Prince of his people". Alas his twin brother was chosen before him, so although the elder of the two he decided that it would be wise to leave his homeland for greener pastures. Five sons were born to Fenius Farsa. Two of these sons and their families followed the middle-aged patriarch on his travels. Leaving the area of the Middle East, this close knit tribe of family and servants migrated North to the area known as "Ancient Scythia". Finding either the climate too harsh, or the Scythians too warlike, the tribe of Fenius Farsa traveled South again to the warmer waters of the Aegean and the Ionian Seas. They settled in this area of Greece for a short period until hostilities with neighbouring tribes forced them to leave the mainland for the safety of the island of Crete. Here in Crete, Fenius Farsa's tribe began to train themselves to be a band of mighty and powerful warriors, for if they were to survive as a tribe, they would have to defend themselves or face slavery. It was in Crete, the ancient annals say, that Gaythelos, the grandson of Fenius Farsa became known as a great warrior and leader of a formidable force of mercenaries. His renown as a "Fighting Prince" gained the attention of the Pharaoh of Egypt, who hired Gaythelos and his mercenary force to fight his wars in the South and East of Egypt. Over the years Gaythelos became victorious and was appointed the Commanding General of the Egyptian army. Meanwhile more and more of Fenius Farsa's people left Crete to enlist and bask in the amazing favor and wealth of the Egyptians. Eventually the majority of the tribe left Crete altogether to enjoy the pleasures and comforts of the worlds richest nation. So successful were Gaythelos and his forces in his wars for Egypt that Pharaoh rewarded him with his daughter's hand in marriage. The Egyptian Princess called Scota and her husband Gaythelos (Mil) were to have a tremendous influence on their people - the family and tribe of Fenius Farsa that had migrated from their ancient homeland in the Middle East. It was from the Princess Scota that the very root (etymon) of the tribal name Scot is derived, and it was the great-great-grandson of Scota who would call himself Heber Scot. (Eber is the father of Peleg and Joktan the biblical origins of all Hebrew nations) He was the prince and leader of his tribe at the time his people took on the tribal name Scot. It was from her husband's name Gaythelos or Gadelius that the people derived the name Gael.... So it was from this union of a warrior Prince from Crete and an Egyptian Princess that a national name was born. There are many motives put forward by different historians for the migration of Prince Gaythelos, Princess Scota and their people from the land of Egypt. We will allow the readers to choose their own preferences as we present the differing records later, however migration was in the air again as this now sizeable tribe set sail for a new homeland. This time their destiny would lead them to the Iberian Peninsula - the area of Spain and Portugal today - where they were to settle and call home for the next 19 generations. Interestingly it is said that the root (etymon) of Portugal comes from Port Of Gael! It was here that Heber Scot would reign as Prince over his warrior tribe of Scots Gaels - and warriors they had to stay to survive, as they were surrounded by hostile nations and tribes all hungry for more and more land. The Scots Gaels proved they were a formidable fighting machine. It was this trait and tenacity that saved them from being consumed in the next 19 generations in Iberia. Thus they survived as an independent tribe and called themselves "Scots Gaels". After many centuries in Spain and Portugal a Bard of the Scots prophesied another migration of the people to a Western Isle guarded by a great ocean. Stirred by the Bard's vision and the need to find safer shores, another relocation was set in motion, it had become a constant battle for survival as mightier tribes came to contest for the best parts of the land of Iberia. Around 600 BC warriors were sent by ship to look for this Western Isle and after weeks of searching through stormy and dangerous seas the Scots expeditionary party found an "Island" West of the British Isles. They navigated the length and breadth of the Island and ventured up the rivers and finding little opposition, this they duly reported on their return to Port of Gael in Iberia. During this period the Scots Gael's "Royal Prince" was Mycelius or Mile, and upon hearing the reports he sent some of his sons to conquer the island for the Scots. How long it took we cannot be sure, but Irish folklore and legend has much to say about the conquest of "The Gods" by "The Mortals". It seems the Irish saw these invading Scots as "lesser" and "mortal" due to their "barbarian" tendencies. There are records of many battles but eventually the prophecy came to pass and the Scots Gaels became rulers of a new "Island Home" that they would call Erin or Ireland. The Romans would call it "Scota" (Scotland) because the "Scotti" ruled as High Kings over the local tribe of Tuatha De Danaan Celts (Irish). The Stone of DestinyThe Scots Gaels were to stay in their new Homeland of Ireland as Overlords and High Kings ruling over the subdued Celts (Tuatha De Danaan) for over 900 years. Once more in this new land significant events would occur that would influence the role and the blood of the Scots nation. Around 600 BC the first High King of Ireland was the Scots Prince Eochaidh The Heremon (Heremon means High King). It was his eventual marriage to the Jewish Princess Tamar Tea Tephi that would heal the breach between two ancient Royal Dynasties, bringing together the blood that was to flow in later British Royals. (Tea Tephi was the illustrious ancestor of Jesus himself) It was also their marriage and reign that began the ancient Tara Dynasty Of Gaelic (Scots) Royalty that would sit on the Stone of Destiny (Lia Fail) ruling over all Ireland. With the blood of Jew and Scot mixed in this Royal couple the Lion Rampant took on its full meaning (although modern historians believe that the Lion Rampant dates back to William the Lion. The Lion Rampant was the Royal Standard for both Royal Dynasties. About 900 years later this same Scots Dynasty and their Scots Gael people readied themselves for another migration (shows why you find Scots in every part of the earth today - that same desire for migration seems to have been helped along by the marauding Vikings as they started to penetrate deeper and deeper into the Irish Mainland). From Ulster (Dalriata) the Scots began to colonize the West Coast of North Britain which they called Dalriada (the valley or plain of Red Hair). The Scots found this a safer shore as the local Celts (Romans called them Picts or Caledonians) were friendly towards the Scots. This was due to the fact that many hundreds of years before these same Celts, who had arrived from Europe in their ships, had wanted to settle in Ireland but the Scots of Ireland would not allow them in. The Scots advised them to settle in the Northern parts of the British Mainland. These Celts (or Picts) had another problem. They had not brought any women folk with them; so the cunning Scots suggested they would supply them with wives on condition that they trace their Royal Dynasty through the female line; this the Celts agreed to. They sailed to the North of Britain with their Scots wives where they settled and multiplied, becoming masters of the major area of North Britain. So it was to the friendly shores of the north of Britain that the Scots from Ireland emigrated. It was in 506 AD that Fergus The Great, King of Scots raised his Lion Rampant standard on the shores of his new land and to seal it as the New Scota he brought over the famous crowning stone of the Scots Gaels - Lia Fail (the Stone of Destiny). Nearly 300 years later the Scots Gaels of Dalriada and the Picts or Caledonians of Albany united to form the Kingdom of Scots, their common land Scota or Scotland. The Scots Gaels had reached their destiny. This was to be the land where they would put down their roots and defend with all their might. Many times their sovereignty and independence would be tested by Viking and English but again and again the Scots would fight for survival as a nation and kingdom. The Scots and their forefathers traveled from the Middle East through Scythia, Greece, Crete, Egypt, Spain, Ireland and finally settled down in the North of Britain, which they called Scotland or Alba. Joseph of Arimathea was referred to as the “Merchant of Alban” from the “Apocryphal Acts of Thomas” ancientmanuscripts.com. It was from this homeland of Scotland that millions of Scots would leave for foreign lands either individually or with families throughout the years, but not again as an entire nation - the Scots had a "home" at last. It is common knowledge that the HEIR to the British throne, Prince Charles, and his late wife Princess Diana, have one common ancestor (not an English King as the Tudor line died out with Elizabeth I of England) but in fact a Scots King who united the Island into Great Britain. We all know he was JAMES VI of Scotland later crowned JAMES I of Great Britain. (It was through his daughter Elizabeth Stewart that our present Royalty has its blood line). It is only through the line of Scots Kings that we can trace the thread of history into the ancient past and pierce through the mists of time to reveal who is who. The Scottish race shall reign! In 1292 John Balliol became the last king to use the Stone in Scotland. Edward I of England took it and other important relics of nationhood and placed it in Westminster Abbey. It remained there for the next 700 years, a part of the throne of Edward the Confessor on which all new sovereigns sit during their coronation. The last time it was used was at the coronation of HM The Queen in 1953. It was finally returned to Edinburgh Castle, Scotland in 1996. The 2000 acres (3 1/2 x 1 miles) with temperate but unpredictable weather, embodying the darkness and mystery of the Golden Age, is an ancient historical seat of learning, healing, and religion. There is still much to learn from her. To have a piece of the island is considered lucky; I have such a crystalline stone -- a talismanic Druid's Egg (anguimum) or Serpent's Egg -- that perfectly fits my hand, to cherish as a connection to my ancestral land, the Earth and cosmos. I hold it now, listening to its ancient resonance. Other serpent's eggs may be of green serpentine. Here is a piece for you, a fractal hologram of eternity from beyond these shores. The pieces of Iona are seemingly infinite. Teia Tephi brought the Stone with her from Jerusalem in 583 B.C. All of the kings of Ireland descended from her and Eochaidh were crowned on the Stone, right up to Muircheartach (Murdoch) son of Earc, who was Columba's uncle. "Not only were the Grail Knights and Templars appointed Guardians of the Stewart Sangreal [Holy Grail] in Scotland, they also became protectors of the Stone of Destiny (the Stone of Scone). This most sacred of Scots treasures had been brought to Scotland from Ireland by Fergus Mor mac Erc, the first King of Dalriada, in the 5th century, having originally been carried to Ireland from Judah in about 586 BC. The venerated holy relic was said to be the Stone of the Covenant, known as 'Jacob's Pillow' (Genesis 28:18-22), on which Jacob laid his head and saw the ladder reaching up to Heaven at Beth-el. In a dream God promised Jacob that his seed would generate the line of kingship to follow -- the line which in due course became the Davidic succession. "When the Jews were persecuted by Nebuchadnezzar of Babylon, Mattaniah, the son of King Josiah (and a direct descendant of David), was installed in Judah. Known as King Zedekiah, he acceded to the throne of Jerusalem in 598 BC. Twelve years later Jerusalem fell to Nebuchadnezzar, whereupon Zedekiah was taken to Babylon and blinded (Jer. 39:6-7, 52:10-11). His sons were murdered, but his daughter Tamar was removed to Ireland (via Egypt and Spain) by the prophet Jeremiah. He also brought the anointed Stone of the Covenant, which became known as Lia Fail (Stone of Destiny). In Latin it was the Saxum Fatale. crowned in the presence of the sacred Stone. 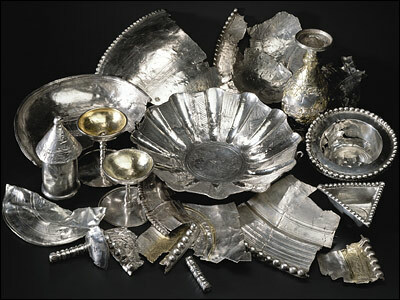 The Irish heritage then progressed to Scotland, where the relic of Judah became synonymous with the Kings of Dalriada. King Kenneth ( MacAlpin (844-859) later moved the Stone to Scone Abbey when he united the Scots and the Picts. By the time of William the Lion (d. 1214), the Stone of Destiny bore witness to nearly a hundred coronations in sovereign descent from King Zedekiah. It is interesting that BLOODLINE OF THE HOLY GRAIL mentions the someone of lineage of Michael the Archangel who will one day inherit the throne as "The Michael." The forward to this book is written by Prince Michael Stewart of Albany who, the authors contend may be the legitimate heir to the throne of England (the Stewarts claim to be related to the British Stuarts) and heir to the throne of David through the purported Merovingian lineage of Jesus Christ. Prince Michael of Albany may also be "The Michael" who was prophesied by the Abbot of Scone to receive his inheritance, supposedly being in the lineage of Melchizedek and the Zadok priests, and Michael the Archangel himself! "And I will make them *one nation* (one stick, one people) in the land upon the mountains of Israel; and one king (Christ) shall be king to them *all* (Shiloh; Whose right the Stone of Destiny represents): and they shall be no more two nations (two sticks), neither shall they be divided into two kingdoms any more at all:" Can Christ be a King over anything except people? These two sticks being joined are specifically used to remind the descendants of Israel, even today, that they will yet be reunited into one nation -- a single people -- in the original land given to Abraham! "So, this movement of the Stone of Destiny could very well be the beginning of a chain of events to shape the world -- and prepare His remnant today -- for the things about to come to pass; the false Messiah shall come first and try to fake uniting the people (Daniel 9:27) under the promised covenant of peace, but he will fail. He will pass himself off as Israel's Messiah, and Christianity's Christ." "And at that time shall Michael stand up, the great prince which standeth for the children of thy people: and there shall be a time of trouble, such as never was since there was a nation even to that same time: and at that time thy people shall be delivered, every one that shall be found written in the book." According to HOLY BLOOD, HOLY GRAIL, early Christian sects such as the Waldensians, Albigenses and Cathars were occult groups similar to the Priory of Sion and for this reason suffered the persecutions of the Catholic Church. The authors identify the Christian Church as the Catholic Church, which the Priory despises and has determined to destroy in revenge for the martyrdom of Jacques de Molay, the last Grand Master of the Priory. The caption under the Stewart Crest of the Phoenix on the Scottish Stewart Clan Home page reads: "Courage gains strength from a wound." Is the Rosicrucian Priory of Sion "the beast which had the wound by a sword, and did live"? (see Rev. 13:3, 12, 14) This also explains Rev. 17:16: "And the ten horns which thou sawest upon the beast, these shall hate the whore, and shall make her desolate and naked, and shall eat her flesh, and burn her with fire." Revelation 18 proceeds to describe the destruction of Mystery Babylon which Rev. 17:9 reveals as "sitting on seven mountains" or Rome. We must not underestimate the importance of the Priory of Sion, the elite order of Rosicrucians who now claim to be the authors of the Protocols of the Elders of Zion. Authors of HOLY BLOOD, HOLY GRAIL state that the Protocols "in their present form" are a radically altered form of the original, which was authored by the Order of the Rose Croix and not intended as anti-Semitic propaganda. Rather than the revised document which Hitler used to vilify the Jews, the Priory would now have the world believe that it was originally a humanitarian proposal to reorder society under a benign priest-king of the lineage of Jesus Christ. Finally the authors of the New Age Grail books thoroughly discredit the Christian New Testament and argue that the Gnostic Nag Hammadi Scrolls predated it and are therefore more authentic. Upon reading the Grail books, one discovers the massive indoctrination in occult lore which is taking place on a worldwide scale. The Scottish Stewart Clan Home Page and the Toronto/Pensacola Revival are now introducing their mythology into the church. A filthy adult site somehow got hold of the linked Web address I had put here at one time and turned the site into an adult site. This sort of thing is very hard to figure out, and I apologize for the thing if you previously used this link. I also appreciate Rev. Martin and Connie Sharlow for telling me about it, though we seriously disagree on some matters of doctrine. Further evidence of the Scottish Stewart (Rosicrucian) connection to this revival is a recent post from Richard Riss concerning a Changing of the Guard with a ceremonial exchange of Celtic swords among revival leaders at a "Knights of the Roundtable" gathering in Seattle WA. This message is reprinted below. The legend of King Arthur and his Knights of the Roundtable figured strongly in the Merovingian bloodline as Guardians of the Holy Grail. Myth, legend and outright fabrication have always been part of our search for our ancestors; originally, the recitation of lineage back to a founding god was an important part of the proof that a king or chieftain ruled by "divine" right and almost every royal genealogy contained this information. Today, the importance of one's ancestors is reflected in such organizations as the D.A.R. or the Descendants of the Mayflower Society because of the social cachet members of these organizations enjoy. There are also leaders of cults and minor religious movements who feel that tracing their lineage back to a god or a hereditary religious leader will enhance their own importance in the eyes of those followers who can be convinced such an association conveys its own power and adds weight to the pronouncements of these people. Being a mythologist, I believe that myths and legends do convey information from the past, though it is not necessarily the literal truth. Instead, what they often reveal is the interconnectiveness, the social conditions and the beliefs of our ancestors. The legend that Jesus was married to Mary Magdalene is this type of legend. It conveyed legitimacy on the line of the Merovingian kings and their descendants, on their right to rule not only in France but in the Holy Land, in Jerusalem. The resurgence of this myth with the recent publication of books by Laurence Gardiner, Michael Baigent, Richard Leigh, Henry Lincoln and Dan Brown not only reflects the uncertainty and dissatisfaction with established religion in our society, it is an echo of the same sort of elitism that was once common among our ancestors. A second form of this myth is that of the Fisher Kings, the descendants of Joseph and Anna of Arimathea. This myth does not play on the disillusionment with the Catholic Church so much as with the entirety of Christianity. It draws on the neo-pagan movement to promote a connection between Jesus, the Tuatha de Danaan and the hereditary Arch-Druids of Gwynedd. According to this version, Arimathea signifies a title rather than a place of origin, an English corruption of the Greco-Hebrew Ha Rama Theo, meaning "of the Divine Highness", or "of the Royal Highness". Joseph, being the younger, only, brother of the Virgin Mary, was the heir to the throne of David. It was through his adoption of his sister's eldest son that Jesus became the legitimate heir to that same throne. The argument goes that, since Mary's husband Joseph, was descended from the line of Jeconiah and all of his line were cursed from sitting upon the throne, Jesus would have been cut out of the royal inheritance unless he was adopted by Mary's brother. While there is disagreement about whether the curse of Jeconiah was lifted, if Joseph of Arimathea adopted Jesus, He would then be granted a place in the royal line of succession as the Heir of David. Supporters of this theory point to Luke 3:23, " And Jesus himself began to be about thirty years of age, being (as was supposed) the son of Joseph, which was [the son] of Heli…" as indicating that Jesus, at the age of 30, was adopted by Mary's brother, Joseph of Arimathea, since Mary, mother of Jesus, was the daughter of Heli and descended from David. Further, Mary of Bethany, called Magdalene to signify that she was the matrilineal heiress of the Tribe of Benjamin, was the wife of Joseph of Arimathea. Her father, Simon, who was cured of leprosy by Jesus and renamed Nicodemus "innocent of blood", was a known associate of Joseph of Arimathea. The Talmud and other sources reveal that both were wealthy men who traveled far from Jerusalem, to trade in metal and grain. Because they were not always available to vote on matters considered by the Sanhedrin, they gave the High Priest their proxies so he could vote in their stead. This explains why, when both Joseph and Nicodemus believed Jesus was innocent, the vote against him in the Sanhedrin was unanimous. This is also the reason why Mary, a married woman, resided with her brother and sister in her father's house. Her husband was frequently away for months and even years. It also explains why the Sanhedrin brought "a woman who was caught in the very act of adultery" to Jesus and asked him to judge her. Only her husband, her father, and her eldest son had this right because only they had a legal stake in her dowry. If she was found guilty, a divorce would cause the dowry to revert to her father's house. Jesus was either the woman's husband or her eldest son by adoption; otherwise he had no legal right to judge her. When Jesus set her free, he not only saved her life, he saved her dowry for his adopted father. However, no children she bore after being caught in adultery would be considered legitimate nor could any of their descendants inherit the throne of David! The gospels state that Joseph of Arimathea buried Jesus in his own unused tomb in Jerusalem. The tomb was a recent acquisition since no one in his family had died and ever been buried in it, indicating that he had obtained the site during his life and did not inherit it. The common way such a tomb would come into a family was as part of a dowry. But if Joseph married Mary of Bethany of the Mount of Olives, then the dowry tomb would have been on the Mount of Olives and the site of the Crucifixion must have been near Bethany at the summit of the Mount. This is in fact the case. The summit of Olivet was one of the most prestigious locations for a tomb and one that only someone of the highest status could achieve. If Joseph were given this piece of land when he married Mary, it was part of her dowry and if he had divorced her, it would revert to Nicodemus. Mary Magdalene was both the adulteress and the woman who anointed Jesus, for no ritually pure Pharisee would allow a "woman of the city who was a sinner" into his house and let her pour ointment all over Nicodemus' adopted grandson – unless she was a member of his family. It was his daughter who anointed Jesus with contraband royal ointment in his presence at a dinner in honor of his son Lazarus. As head of the House of Benjamin, Nicodemus had the right to keep the written genealogies of the priests and kings of Israel and Mary, by anointing Jesus, invested Him as king. She also, by making Jesus the heir of Benjamin by adoption through her husband Joseph, gave Him the legal right to officially appoint what He called "Scribes of the Kingdom" - the writers of a New Testament. Joseph of Arimathea had a daughter, Anna, also called Arimathea. Anna is described as a "consobrina" or niece of the Virgin Mary, a Prophetess and Princess of Cornwall. Either Anna was born before the adultery or Joseph made a second marriage with the royal house of Cornwall after he divorced Mary Magdalene and left her in France with Sarah, her daughter. Sarah's descendents became united by marriage to the Sicambrian Franks, and from them emerged a whole new 'reigning' dynasty, the Merovingian Kings of France. But even if Mary were the wife of Jesus as some claim, and Sarah His daughter, it would be of no inheritance value to her descendents. All Mary's subsequent offspring in the aftermath of adultery would be legally bastards with no claim on any inheritance or royal throne. Therefore, all those pretenders who are now claiming to be the heirs of David through Jesus and Mary Magdalene are claiming an inheritance that cannot exist. This was the secret the Knights Templar discovered beneath the Temple of Solomon, in the written records of the royal scribes and the genealogies of the priests and kings of Israel. Joseph's descendants before the adultery or by a second wife would legitimately be able to claim the royal throne of David. His daughter, Anna, the Prophetess of Arimathea (the Royal and Divine Highness), Princess of Cornwall, married Bran the Blessed, Arch-Druid and King of Siluria, establishing the ancestral line of the Fisher-Kings of Arthurian legend. Bran was a descendant of the Tuatha de Danaan. The legend says he was given the Holy Grail by St. Joseph of Arimathea. When presented with a choice between the French and the English claimants at the confrontation at Gisors, the Knights Templar, knowing that the true line descended through Anna, broke with the Priory of Sion and threw their support to the English. The first Roman Christian king of the Franks in the Merovingian line was Clovis I. Merovee, the founder of the line, was not a Christian. The legend of his birth, that he was born of the union of his mother with the "four horned" Quinotaur, a beast of the sea, is a link to a very ancient dragon cult associated with Danu. Some say Merovee was an "adherent to the cult of Diana", which, along with Inanna, is cognate with Danu. This cult was practiced along the length of the Atlantic Facade, from Scotland and Ireland to Iberia and Gaul and into Scandinavia. The belief in the Loch Ness Monster most likely stems from this practice. The most prominent dragon clan in the British Isles was the Ui Neill of Dalriada. It was upon the death of her first husband, that Ygerna, the mother of Artur, married Domangart of Dalraida, uniting the Dragon Kings of Dalraida with the Arimathean lineage of the Fisher Kings of the Grail legend. Not to be outdone, the Merovingians laid claim to the sacred kingship title through Mary Magdalene, the discarded wife of Joseph of Arimathea and adoptive mother of Jesus, by transforming her into his wife. After the death of Constantine, the Roman Empire and the Christian Church both split between the east and the west. The Eastern Orthodox Church grew in power and influence, while the Roman church faltered. In 496 CE, the Bishop of Rome made a pact with Clovis, the grandson of Merovee, giving him authority to preside over a "Christianized" Roman empire. The so-called offspring of Mary Magdalene were thus established as leaders of the empire. By the 11th century, many who claimed a connection to the Merovingian bloodline were involved in the Crusades. Among them was Pope Stephen IX, who encouraged the drive to liberate the Holy Land from the Moslems. By 1061 CE, the Christian Crusaders had conquered the city of Jerusalem and established Godfroi de Bouillon, a Merovingian, on the throne of Jerusalem. In 1099, Godfroi de Bouillon organized a secret society called the Ordre de Sion, or Priory of Sion. In 1118 CE, Hugues de Payen organized the Knights Templar and made Baudouin, the brother of Godfroi de Bouillon, its first Grand Master. The stated purpose of the Knights Templar was to guard the highways around Jerusalem to protect the pilgrims coming for worship. Upon their arrival in Jerusalem, they were given living quarters in the palace of Baudouin on the Temple site. Though there is no historical proof, it is believed that they spent the next nine years digging up the buried treasure of the ancient Jewish Temple. In 1953 a copper scroll was found in a cave near the Dead Sea which told of a fabulous Temple treasure, estimated at more than 138 tons of gold and silver which had been buried by the Jewish priesthood in 64 locations before the Romans destroyed the Temple in 70 CE. 24 of those hordes of gold were buried under the Temple mountain. It is believed that the Knights Templar plundered the treasure of the Temple and took it back to Europe. After nine years in Jerusalem, the Templars returned to Europe wealthy beyond belief. In the following years, they built castles all over Europe and became famous as the guardians of the Holy Grail. It is believed that the Priory of Sion organized the Knights Templar to excavate the Temple site in hopes of finding the fabulous treasure of the Temple. Evidently they were successful, for they instituted an international banking system across Europe and had the resources to loan gold to kings and governments. The secret purpose for the Knights Templar, however, was to preserve the Merovingian bloodline in hopes of one day establishing a world government and putting their king upon the throne, a king who could claim to be the offspring of Jesus Christ and Mary Magdalene. The real treasure of the Temple was the written genealogies of the priests and kings of Israel. If such records were found, they obviously did not support the Merovingian claim. In 1188, 70 years after the founding of the Templars, they split from the Ordre de Sion and threw their support to the Dukes of Aquitaine, specifically, Richard the Lion Heart, son of Henry of England. Ostensibly, the Templars exchanged a French Merovingian for an English Merovingian. In reality, this was the first in a series of moves to support the Earls of Orkney, who descended from Joseph of Arimathea. Sigurd, the seventh Earl of Orkney, married for his second wife Olith or Thora, daughter of Malcolm II, king of Scotland, and his grandson married as his second wife, Felicia, daughter of Robert, Duke of Normandy. Her brother was William the Conqueror. Their second son was named Brusi, or Robert de Brusee who attached himself to the service of his maternal grandfather, and settled in Normandy. In 1314, the Templars rode in defense of another Robert the Bruce, at the Battle of Bannockburn. The "Lebor Kabbalah Scotia" is found preserved by the Irish monks in the Lebor Gabala Erenn. This is a reconstruction of part of the original Scottish document that has been inserted by the monks into the history of Ireland. They confuse the history of the Scottish and Irish Jewish Christian Exilarchs descended from Mar Joseph of Arimathea with earlier Biblical events. "...Bithiah(Bat Scota) of her are descended the Gaedil and the people of Scotia. She had a son, the noble eminent man whose name was Phineas ben Phares. This is that Phineas (Feinius) who had the great school (Yeshivah)for the learning of the multiplicity of divine sciences in the land of Babylon. Now Phineas had two sons: Nathaniel I (Nenual/Nechtanebus), whom he left in the princedom of Scotia (Rosh Galuta Scotia)behind him; Nel (Niall), the other son, at Babyon was he born. Now Phineas was a master of all the divine sciences; wherefore one came [to summon him] from Phares [his father who was the Exilarch of Scotia], in order to teach the multiplicity of divine sciences from him. So Phineas came out of Asia (Palestine and Babylon) to Scotia, whence he had gone for the building of the Yeshivah; so that he died in the princedom of Scotia, at the end of forty years, and passed on the chieftainship to his son, Nathaniel I. Now Ezra (Sru) son of Israel (Esru) son of Gaedel, he it is who was chieftain for the Gaedil who went out of the South after Phares died : Seven hundred and seventy years from the Exile (c.586 BC) till then (c.184 AD). they, the Sons of Mil, in the land of Ireland. Four ships' companies strong went Ezra (Sru) out of the South. There were twenty-four wedded couples and three hirelings for every ship. Sru and his son Eber Scot, they were the chieftains of the expedition. [It is then that Nathaniel III grandson of Nathaniel I son of Phineas ben Phares, prince of Scotia, died: and] Sru also died immediately after reaching Scotia. Eber Scot took [by force] the kingship of Scotia from the progeny of Nathaniel, till he fell at the hands of Nehunya (Noemius) son of Nathaniel III. There was a contention between Nehunya and Boamain son of Eber Scot. Boamain took the kingship till he fell at the hands of Nehunya. Nehunya took the princedom till he fell at the hands of Ogamain son of Boamain in vengeance for this father. Ogamain took the kingship till he died. Rafael I son of Nehunya took the kingship till he fell at the hands of Tat son of Ogamain. Thereafter Tat fell at the hands of Rafael II Loir (King Lear) son of Rafael I (Refill). Thereafter there was a contention for the princedom between Rafael II Loir(Refloir) [grandson of Nehunya] and Agnomain son of Tat, until Rafael II Loir fell at the hands of Agnomain. Niall, son of Phineas b. Phares. Nathaniel in Scotia, bright as a shield. the High King was expelled. the modest, nimble granddaughter of Phares. green were his arms and his vesture. to whom was meet all the fame attributed to him. over the surface of the red Mare Rubrum. at the hands of Nehunya son of Nathaniel III. till he fell by the hand of Nehunya. by the hand of Ogamain son of Boamain. after him Rafael I was king. by the hand of Rafael II Loir son to Rafael I.
by the victorious hand of Agnomain. the two sons of Tait son of Ogamain. the two good sons of Eber of the red-steed. a clear saying, and women every third score. in the islands of the great Caspian Sea. they found very secret. .."
This process of one branch of the Davidic family slaying the other may be the poetic hyperbole of the Irish storytellers- in fact it may be that these two branches of the family were just competing for the position of Exilarch of Scotia. Phares has been confused with Pharoah due to the Irish memory of the original daughters of King Zedekiah, Sukkota and Tamar Tia, going to Egypt with Jeremiah and there marrying into Princes of the Milesian mercenaries. They lived in the palace at Tahpanhes given to them by their grandfather who was the Pharoah (Their mother Queen Tzaddah (Tzadikah)was the daughter of Pharoah by a Jewish wife). The Caspian Sea here refers to the North Sea and the Mare Rubrum to the Sea between Gibraltar and Kerry- also known as the Milesian Sea. It was in the reign of the Pharoah Psammeticus (identified by Velikovsky with Seti I)that the Milesians arrived in Egypt with 30 ships and settled in Tahpanhes. The two grandson's of Phares were Nathaniel (Nenual/Nechtanebus)and Niall (Nilius/Nel/Neleus/Niul), they were named for their ancestors the Princes who married Sukkota and Tia. Sukkota married the Milesian Prince Nilius leader of the Milesian mercenaries in Egypt. Tia married Nathaniel (Nenual) a Prince of the Davidic House of Nathan who joined the Milesian mercenaries. Prince Nilius or Niall was in turn named for the founder of the Ionian City of Miletus called Nilius or Neleus who was a son of Codrus King of Athens. Codrus was a descendant of Cecrops King of Athens who is believed to by a descendant of Dardanus who is identified with Darda of the House of Zerah Judah. Prince Nathaniel was a son of Prince Ishmael ben Nathaniah. Prince Nathaniel joined the Milesian Militia of the Red Hand and his son was known as Nathan the Red (Nuada/Nathan Ruadha)and he married the daughter of the Milesian leader Neleus called Princess Tamar of Tahpanhes (Tephi). Their son was Allot (Alladh/Helios)the Rosh Golus settled in Lybia and married Rhoda a daughter of the Milesian Prince Danaus (son of Nilius and Sukkota). It is from his daughter Skalota that Scythia got its name. Skalota married Phineas of the Black Sea (who was later confused with his descendant Fenius Farsa). The wife of Phares, Bat Scota or Bat Scotia, was of the Royal Pictish line of Princesses. The Picts were the Agathysri of Scythia who had come to Scotland and given it the name of Scotia or Scythia. Bat Scota the wife of Phares belonged to a branch of the Royal Scythian family that had been converted by St Andrew. St Bartholomew was martyred by the pagan Pictish King of the Agathyrsi. Rhoda and Allot's son Kamiros settled in Rhodes and was the ancestor of many of the R1b-L21 Davidic descendants found in Wales where his descendants were known as the Cymry. Many have confused the R1b-L21 Cymry with the Khumri, Gamiri and Cimmerians who may be the ancestors of R1b-U106. The Anglo-Saxons seemed to be of predominately R1b-U106 and the Jutes of predominately R1b-U152. It would seem that the Dan in Denmark comes not from the Tribe of Dan but from the name Rhodan and Redones. Kamiros' brother is Ercha [c.500 BC]the ancestor of the Davidic Milesian Kings. Ercha's daughter Echidna married the son of Phineas of the Black Sea and Skalota. It would seem that these Scythian Princes descended from Phineas and Skalota are of R1a Edomite y-dna and are the ancestors of many of the Agathyrsi, Picts, and Khazar Jews. Somerled of the Isles was one such Khazar Prince. Another branch of these Rhodan Milesians founded Rhoda in Calalus in North America. The Redones of Gaul from the Rhone River are also descendants of these Rhadanites or Rhodans. It is possible that the descendants of these Rhodan Milesians of the House of Zerah Judah belong to y-dna R1b-U152. These sea faring descendants of the Davidic Milesians[R1b-L21](who became Jewish Christians) and the Jewish Rhodan Milesians[R1b-U152](some becoming Jewish Christians in the 8th and 9th centuries and others remaining Jewish right through the Middle Ages) trading between America, the British Isles and into the rivers of Europe and then into the East. It would seem the R1b-U106 is the y-dna of the Tribes of Joseph[or the Lost Tribes of Israel] descended in the male line from the Hebrew Patriarchs. Tuathal Teachtmar is a son of Fiachu son of Phares (Feradach). His mother is Ethne (Edna)Imgel (Imma Gaeli/Mother of the Gaels) of Scotia. Phares is the son of Nathan the Red also called Crimthann and Nuada or Nechtan a grandson of Joseph of Arimathea. These early Irish and Scottish 'kings' are the Davidic Exilarchs of the Glas Dynasty or Glastonbury Dynasty. Gaedal Glas is the son of Niall and his wife Scota a granddaughter of Phares and the sister of Tuathal Teachtmar. The Irish bards have so confused the manuscripts and genealogies that they have placed Tuathal Teachtmar of the Caledonii in the 12th century BC as Partolon or Ptolomy (Tolmai)with his wife Dalny the daughter of Pharoah who are the first invaders of Ireland. In fact Tuathal is this Prince Ptolomy of the Caledonii who married a daughter of Phinchas ben Phares (Fenius Farsa). He is named for his ancestor Nathaniel bar Tolmai (St Bartholomew) who was an apostle to Britain. Thus Partolon and his Caledonians lived at the beginning of the 2nd century AD not the 12th century BC. St Bartholomew was martyred by a pagan Pictish King in Alba (Scotland)by the North Sea (also called Caspian in the Irish accounts). This martyrdom has been mistakenly placed in Alba or Albanopolis in Armenia. Niall and Scota's daughter Bat Scota married Nathaniel II of Scotia. The Lebor Kabbalah Scotia tells of settlements by these Scottish Jewish Christians in Spain and Ireland. The later monks are drawing on the manuscripts of the history of this early Jewish Christian history and they have exaggerated the stories making the Exilarchs into Kings due to their Davidic status. However they only became Kings in later centuries beginning in the 3rd century. They were originally known as the Rosh Galuta (Head of the Exile) or Guletic. They were Bishops who were also Davidic Nasis (Princes)which some called the Fisherkings. Their descendants were also known as the Sons of Joseph who was represented by the symbol of the fish. They were surrounded by the followers of Druidic paganism and many of them fell away from the Christian faith of their ancestors so that by the time of St Patrick and St Ninian the Christians were almost extinct. Many of the Jewish Christian tales became paganised in the process. Often scholars see that the pagan stories have been Christianised not realising that these tales had originally been Christian. Conn of the Hundred Battles was a champion of the revived Druidic paganism and he was a grandson of the Scottish born Tuathal Teachtmar of the Exilarch family of Scotia. It is interesting that R1b-L21 which I believe is the Davidic y-dna seems to have its largest numbers in Wales (c.70% of the Welsh are Descendants of David) and Ireland (c.60% of the Irish are descendants of David)and also very large percentages of English and Scottish people are also of Davidic descent. Scandanavia seems to have about 10% Davidic population and France (especially in the North West of France), Germany (especially in the West of Germany) and Spain (about 5%) also have significant Davidic populations. It is also of interest that the last European Monarchy that has anointed Monarchs in the tradition of the Kings of Judah is the British Monarchy that today counts the majority of the Davidic descendants among its population. In the Arthurian literature it mentions that Nascien (Nathan the Red grandson of Joseph of Arimathea) had a son Celidoine. This Celidoine may be identified with Phares or Feradach (Brother Phares) and Celidoine was his title as the Lord (Adon) of the Culdees (or khaldaios/holymen)in Scotia. Caledonia became a synonym for Scotland and the Caledonii were named for him. The first Jewish Christian Eucharistic centre (Grail Castle or chapel) was built by Phares the Celidoine and named Galefort (Gilead/Galahad/Goloddyn)and named for his grandfather Gilead (Galahad/Galuta). Goloddyn or Gilead or Galuta Dun meaning the fort of Gilead or Galuta. Later the name Goloddin for the fort became confused with the name of the Tribe Gadeni or Godoli and became Gododdin or Gododdyn. They were also called the Gaeli (the Redeemed ones). 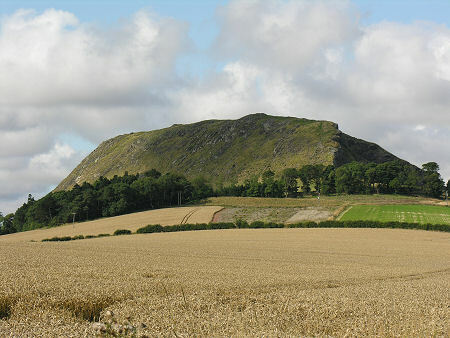 Galefort is to be identified with Traprain Law in East Lothian. Its older name was Dunpendyrlaw or the fort of the Pendragon Elidyr. Pendragon or Ben Dragon Slayer Elidyr (Elutherius/Uther)was the father-in-law of the original King Arthur. Corbenic was in Cambernic Brynaich (later called Bernicia)and was the home of Lancelot ( son of Anlach of Bennic or Brynaich/ L'Angus). Lancelot was also known as Brychan and was the founder of the Welsh Princedom of Brychneiniog. Lancelot in later life was known as St Brychan. 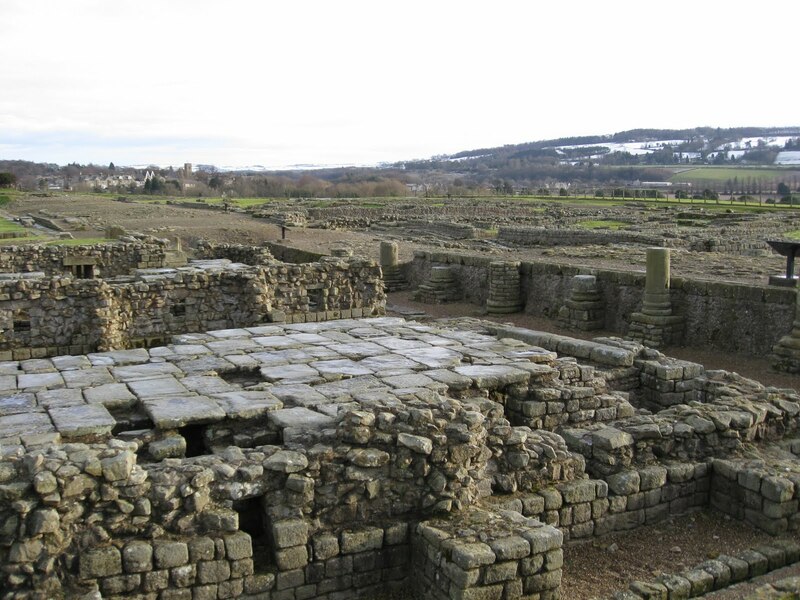 Today Corbenic is called Corbridge in Northumberland. The southern Gododdin were also called the Manau or Manau or Manannan. The Isle of Man was also called Manannan. Manannan was a son of the Jewish Christian Rosh Galuta Rafael II Llyr (Loir/Lear). Manannan promoted the Jewish Christian practice of Eucharistic Adoration of the Blessed Sacrament and established a Grail Castle or Chapel on the Isle of Man. The name refers to the heavenly Bread as Manna or Man and those who adore Jesus as the Man Am (People of the Manna or adorers of the Manna). Many places bore the name of Man as chapels of Eucharistic Adoration. Archeological discoveries at Traprain Law demonstrate that in the 4th and 5th centuries this Gododdin city was Christian. The Wikipedia article on Traprain Law mentions its foundation in about 40 AD- a time when the kin of Joseph of Arimathea established Galefort. "Excavations have shown it was occupied in the Late Iron Age from about AD 40 through the last quarter of the 2nd century (about the time that the Antonine Wall was manned). Following the Roman withdrawal to the line of Hadrian's Wall it was occupied from about 220 almost uninterruptedly until about 400 when an impressive new rampart was built, then within a few decades the site was abandoned. In the 1st century the Romans recorded the Votadini as a British tribe in the area, and Traprain Law is generally thought to have been one of their major settlements. They emerged as a kingdom under the Brythonic version of their name Gododdin and Traprain Law is thought to have been their capital before moving to Din Eidyn (Edinburgh Castle)..."
This account of the Lebor Kabbalah Scotia mentions that Phares called his son Phineas (Phinchas)back from the Jewish Christian Yeshiva at Kinnyani in Babylon to become the Scottish Exilarch. This was because Phares was to succeed his twin brother Adon Zerah (Aidan/Aodn of Glas) the Exilarch or Jewish Christian Bishop/Abbot of Glastonbury (called the Isle of Glas). Adon means Lord in Hebrew and Glas may be a contraction of the word Golus (Exile). His son was the famous Simeon Breac (Simeon the Blessed) who brought the Stone of Destiny (Jacob's Stone)from Spain to Ireland. Simeon was also called Rabbi Berechiah and Simeon the Gael. These events occurred in the 1st and 2nd centuries AD not the 7th century BC. In the Irish annals the figure of Nemed (Nemhaidh/Nehemiah)is mentioned however Geoffrey Keating seems to have confused a number of people with similiar names. In his account he makes Simeon Breac a grandson of Nemhaidh when Simeon is a grandson of Nathan the Red. The famous Nemed of Nemedian fame is in reality the Scottish and Babylonian Exilarch Prince Nehemiah. It is possible that they are two different Simeon's that have become confused. Some Conclusions: It would seem that only between 20-30% of Jews belong to the Hebrew y-dna of R1b [30-40% of Sephardi Jews and 10-15 % of Ashkenazi Jews] which would seem to please some anti-semites who want to brand the Jewish people as Edomites. However only about 5-10% of Jews are of the Edomite R1a y-dna [about 10-15% of Ashkenazi Jews and about 3-6 % of Sephardi Jews]. It would also seem that only 20-30% of the English are of Josephite R1b-106 y-dna from the Anglo-Saxon Invasions, while the English are 60-70% of R1b Israelite ancestry overall. The large amount of Royal Davidic R1b-L21 y-dna in the British Isles would entitled us to call it the Isles of King David or the Isles of Judah. In a sense Hitler's rant against the British as "white Jews" was more accurate than he imagined. Sifting through the traditional Gaelic accounts combined with archaeological discoveries and genetics may restore this glorious Jewish Christian past to the history of Scotland.